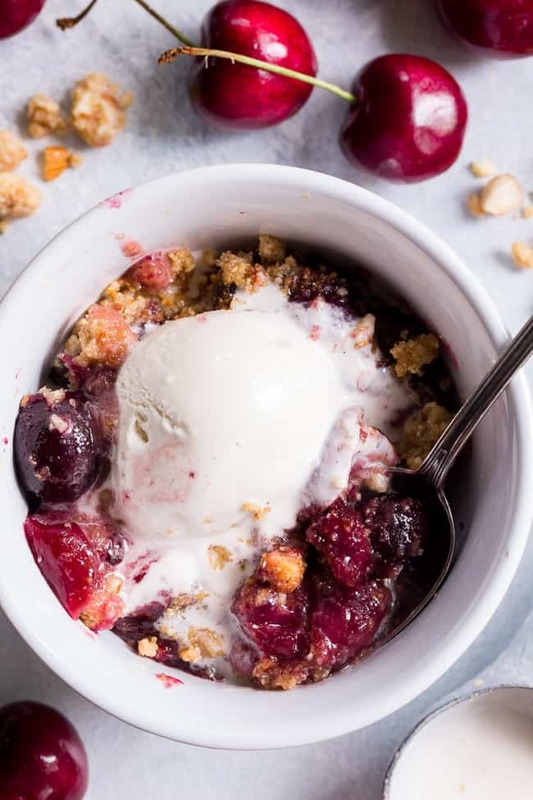 This classic cherry crisp is irresistibly delicious and easy to make! 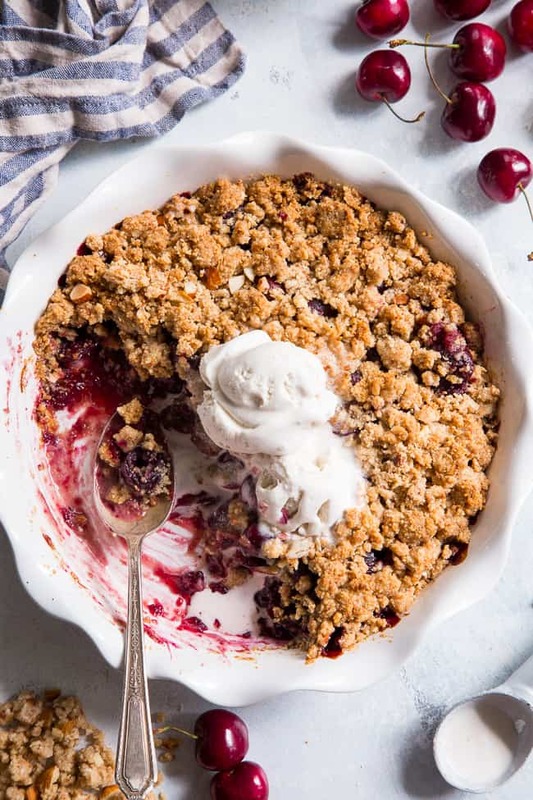 A sweet gooey cherry filling is topped with a toasty crumble for a summer dessert that will make everyone come back for seconds. 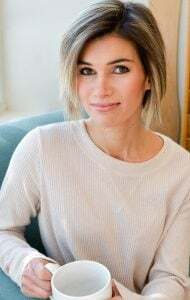 It’s paleo, vegan, gluten-free, dairy-free and refined sugar free. I’ve always had a total weak spot for cherries. As in, I literally cannot go to the grocery store during cherry season without buying way more than I need – it’s a legitimate problem, I’m not kidding. 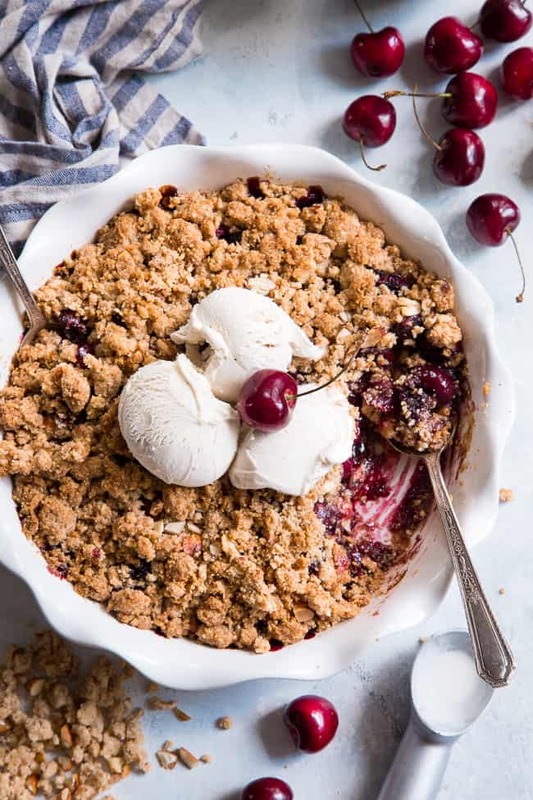 Trust me – even after making this cherry crisp I still have 1 and a half bags of fresh cherries in my fridge, and the pressure is on – too many cherries and not enough time to eat them/bake with them! Cherries have just always been my ultimate “signal” that summer is ON, beginning from about the age of 4 or 5 when I was finally allowed to eat cherries (darn pits!) I remember thinking they were the most delicious fruit I’d ever eaten. Fast forward over 30 years and I still get excited the first time I see them in the stores – they are STILL my favorite fruit, I can say with confidence. But let’s talk specifically about this cherry crisp now. It’s super simple to put together yet it’s dreamy and delicious in all the best ways a fruit dessert can be. First, the filling. I highly recommend grabbing a cherry pitter on Amazon to make all your cherry-baking experiences way more pleasant and less messy. If you don’t have one though, a chopstick or straw works well too to get those pits out! 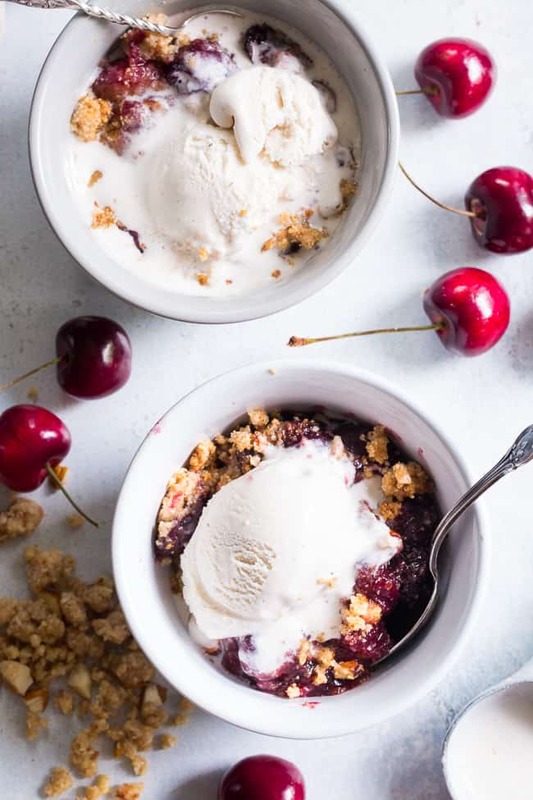 Once your cherries are pitted and cut in half, you toss them with some arrowroot starch, maple sugar to sweeten (you can also use coconut sugar), vanilla and lemon juice. Simple and so tasty after baking! The topping is also a breeze to prepare. You can either use a food processor or simply a chefs knife to chop up your almonds to a fine texture. I like some larger pieces in there too for crunch! 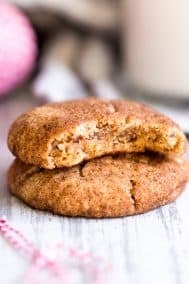 The almonds are mixed with almond flour, shredded coconut, maple or coconut sugar, coconut oil, vanilla, and cinnamon. 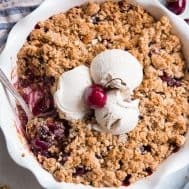 Then, the mixture is chilled for a little while so it crumbles well over the cherries and retains great texture when baking (no melty crumb topping!). 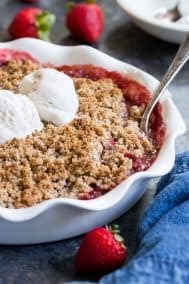 This topping is really similar to the one used for my strawberry crumble which I also highly recommend you try out if you’re craving tasty fruit desserts! 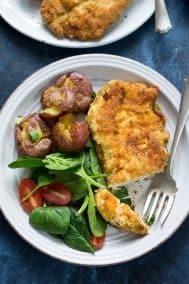 Once the topping is crumbled all over, the crisp needs to bake for about 45 minutes. I took mine out once the cherry filling was bubbling and the topping was nearly a deep golden brown. 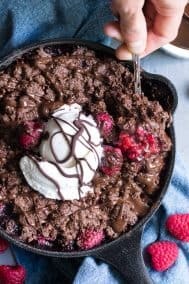 Remember that if you use coconut sugar instead of maple, your topping will appear darker even when it’s not quite done. This doesn’t mean it will burn, but rather appear brown due to the color of the coconut sugar. Once done, I recommend letting it cool at least 20 minutes or so before serving. You can serve it warm or room temp, and it’s amazing with a scoop of coconut ice cream on top! Remember not to top with ice cream until you serve, as the leftovers won’t save well with the ice cream. So, if you’re like me and can’t resist buying way more cherries than you actually need – you’re definitely in the right place! Okay, we’re getting to that time! I know you’re going to love this classic summer treat – get your aprons on (cherries stain!) 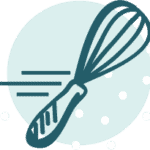 because we’re ready to go – let’s bake! 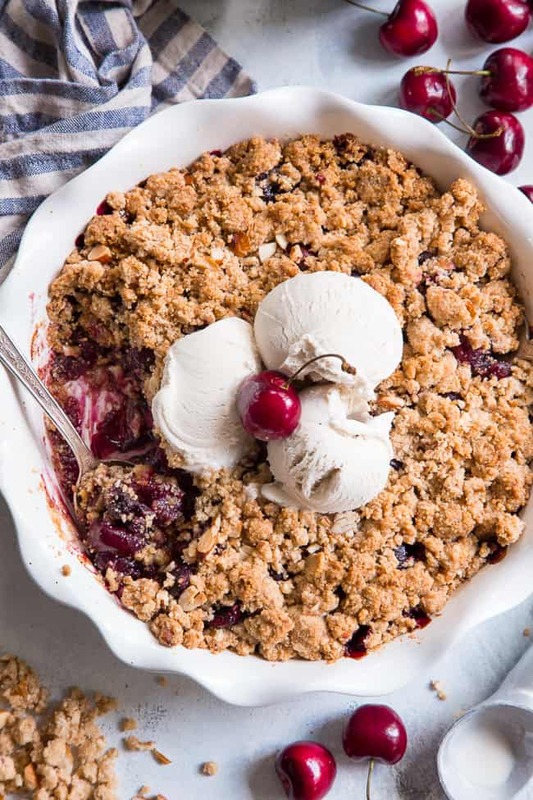 This classic cherry crisp is irresistibly delicious and easy to make! 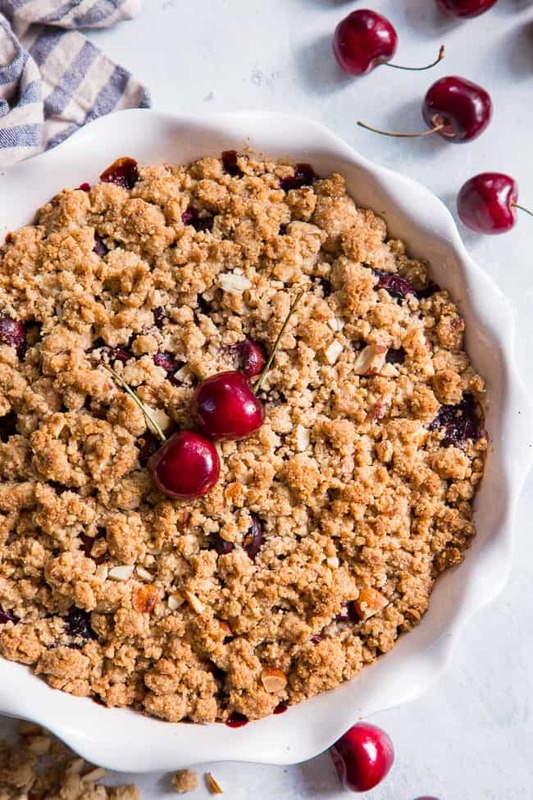 A sweet gooey cherry filling is topped with a toasty crumble for a summer dessert that will make everyone come back for seconds. 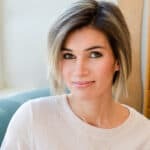 It's paleo, vegan, gluten-free, dairy-free and refined sugar free. 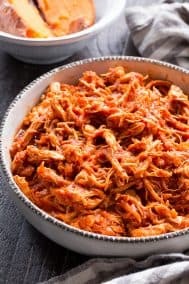 You can either mix the topping by hand or use a food processor to make it a bit easier. Chop or process the almonds until they resemble crumbs with larger pieces. Add in the almond flour, maple or coconut sugar, unsweetened coconut, vanilla, cinnamon and sea salt. Stir or pulse in the coconut oil until the mixture is crumbly/slightly pasty but don’t overmix. Place the topping mixture in the refrigerator while you prep the filling. 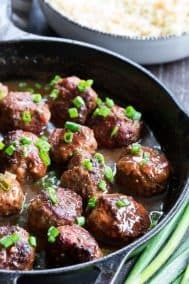 Place the prepared cherries in a large bowl and add the lemon juice, vanilla, maple or coconut sugar, arrowroot starch and stir to fully combine. Transfer the cherry mixture to your 9” baking dish or pie dish. 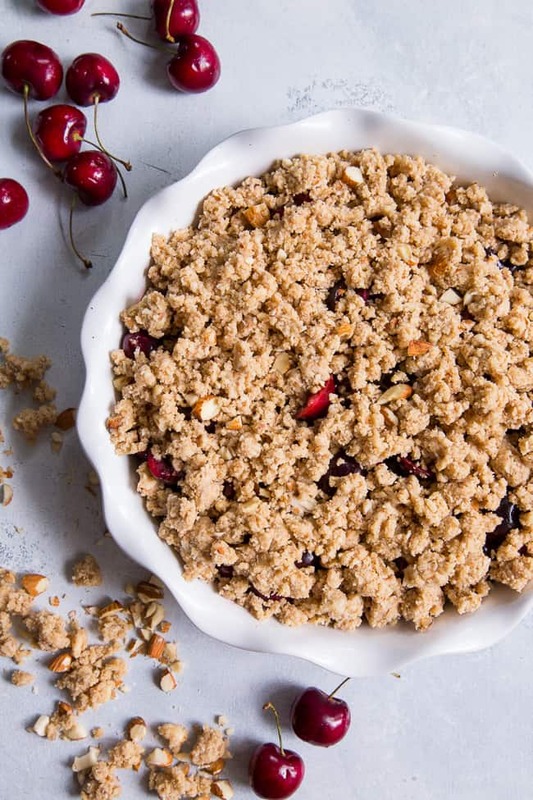 Remove topping from fridge and crumble all over the cherries, then bake in the preheated over for about 45 minutes or until topping is golden brown and filling is bubbly. Check at 40 minutes since oven temps vary! Serve warm or at room temp topped with coconut vanilla ice cream if desired. 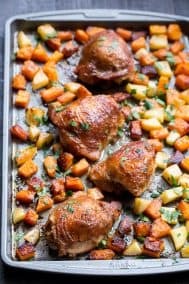 Store any leftovers in the refrigerator (without ice cream) and reheat slightly in the oven to warm before serving again. Enjoy! *Coconut sugar will work well but will cause the topping to appear darker than pictured. Want More Paleo and Vegan Summer Desserts? Try One of These! 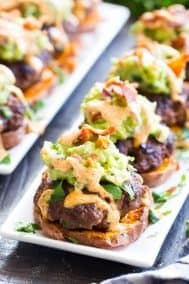 Sounds delicious, definitely making this! Would you freeze before baking or after? Thanks! This sounds delicious! If I don’t have almond flour…would anything else work? Thanks! Hey Lindsay!…If you have hazelnuts in the house…by ALL means use those with cherries…perfect flavour profile/marriage!!! I’m going to give this a shot myself!! !